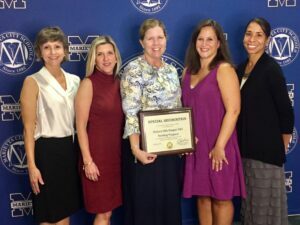 Four communities were named “Bright Spots” by the Grade Level Reading Campaign at its annual conference in July. We are thrilled to report that Hickory Hills’ “Dragon F.I.R.E.” program was one of those! Read all about it here. Program participants were recognized at the August Marietta City Schools Board of Education meeting.